One thing is clear about New Zealand and their soon-to-start Russia 2017 adventure: they are taking the task very seriously. 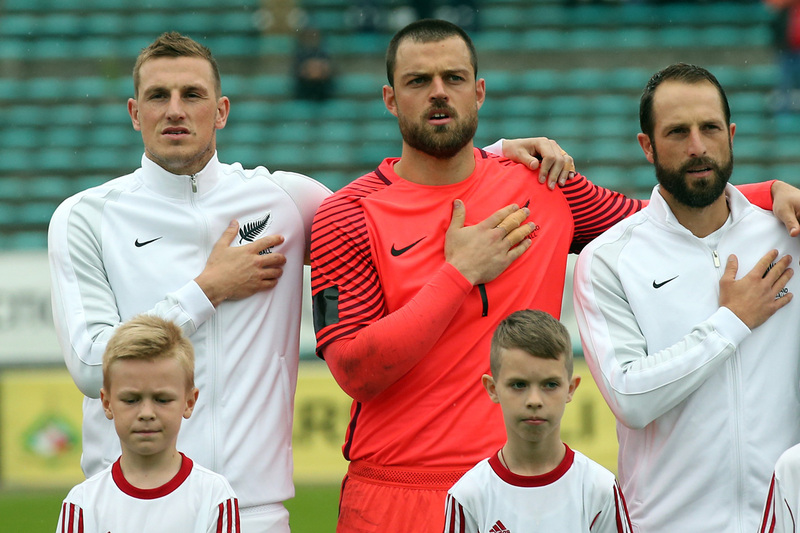 Not only are the All Whites anxious to win their first-ever match at the FIFA Confederations Cup, but they are well aware that the quadrennial showcase is a rare chance for them to shine in the world’s spotlight. In Saturday’s kick-off against Russia, New Zealand will be underdogs – they are over 30 places behind the Europeans in the latest FIFA/Coca-Cola World Ranking – but they might consider it their best chance to win in Group A, with matches against Mexico and Portugal looming. “We go into this tournament wanting to do something significant, which is do something New Zealand has never done, and that is win a game at the tournament,” coach Anthony Hudson said after a pair of 1-0 defeats in friendlies against Northern Ireland and Belarus. Striker Chris Wood will be the key player for the sometimes goal-shy two-time FIFA World Cup™ finalists, and the Leeds United player captured the anticipatory mood in the team. “It is going to be a really special occasion,” Wood said about opening the event against the hosts in Saint Petersburg Stadium. Hudson has worked hard to reinvigorate the team since he took over in 2014, and the New Zealanders have just three outfield players older than 30. As such, there are several rising stars looking to showcase their individual abilities along with the team. “The Confederations Cup is a big event. There is only one tournament bigger and that is the World Cup, so this tournament is a great opportunity for exposure. I hope to catch the eye of some people around the world and take that opportunity,” said Auckland City’s Clayton Lewis, who impressed at the FIFA U-20 World Cup in 2015. Young left back Tom Doyle went one further. New Zealand earned their first draw at a senior FIFA competition at the 2009 Confederations Cup when they recorded a scoreless draw with Iraq. They learned on Tuesday that they will face Solomon Islands later this year in the OFC play-off in qualifying for the 2018 FIFA World Cup™.